This week on The Gralien Report, in the hours following this year’s “Big Game”, conspiracy theorists are already arguing that singer Lady Gaga’s performance was a “Satanic ritual”. Of course… we look at this, as well as some of the latest science news that includes the discovery of a “lost” ancient continent, and the mysteries of something that each of us does daily: sleep. Could sleep and dreaming harbor more mysteries than most of us have considered? 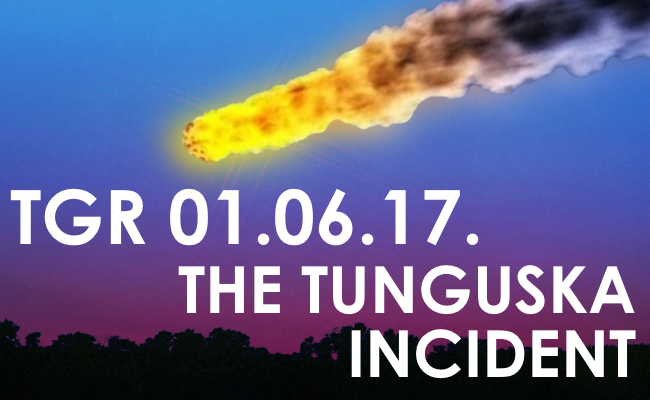 Then in the second hour, we look at the greatest single impact event in recorded history: the famous Tunguska blast of 1908.While widely regarded as being the result of an air-burst of a meteoroid, for years Russian scientists actually favored the notion that a comet had been to blame. Alternative theories exist as well, which range from a massive natural gas explosion, to fringe theories about an alien vessel exploding near Lake Baikal. However, perhaps no theory about Tunguska is quite as intriguing as the notion that famed inventor Nikola Tesla could have somehow been involved… but is there really any credibility to this theory? We look at this unusual theory, and more, on this week’s Gralien Report.